District 21 – March 2011 – Lincoln Nebraska A.A.
Secretary’s Report (Amy W.): Approved as read. Intergroup Liaison Report (Emily S.): Did not attend, rumored to be small attendance. DCM visited Pocket of Enthusiasm. Only 4 groups that have not been visited this rotation (Sunday Morning Hope, Sat. morning men’s, Spiritual Actions, Thursday noon Big Book study). DCM attended the March 2011 Area 41 Assembly and Spring Fling hospitality group. DCM has notified both webmasters (Area 41.org and lincaa.org) and Area registrar about corrections needed to meeting lists (NJ group, listed dead meetings, non-AA group listed). Hopefully, the meeting lists will be up-to-date for district 21 shortly. Area 41 Corrections Chair needs information from groups/districts about corrections meetings (day/time, facility, contact person) to create a statewide database for corrections/meetings. This will also aid the committee in targeting their efforts to the facilities that have the least/none meetings. Please email Amy with this information or bring information to the next district meeting. Bridging the Gap-new website: www.bridgingthegapnebraska.org. DCM will give GSRs new forms for bridging the gap. Please distribute at groups and return forms to Amy at next district meeting. 1 year of sobriety, full names will be on list. Area chair: If there are questions about voting items, please do not hesitate to call the committee chair to find out more information about the voting item. This would help make the voting process at Area go more smoothly and eliminate much confusion. Pocket of Enthusiasm (Steve U..): everything is fine. Sufficient Substitute (Sam R.): things remain the same, no change. Women’s Circle of Friends (Pat D. reported for Jennifer R.): Had scholarships for Tree house retreat, 2.5 to 3 scholarships available for this, had scholarships for spring fling. Steady attendance. Cafeteria Group (Tom B. ): going well, steady attendance of 40. Seeking Solutions (Jon R.): Anniversary had 120 people in attendance, steady attendance, going very well. 11th Step Group (Jackie S.): last 2 weeks attendance was down about ½, hope to see improvement. Sat. Morning Men’s (Greg A. ): Greg came to districts!!!! Amy forgot to ask him to report. Oops. Open positions. Secretary and alt. DCM. Michael was nominated. Sober several years. Can type well. Unanimously voted in as our new secretary!!! Hospitality room for Spring Fling. Led by cafeteria group helped out by Steps we Take and Women’s circle of friends. $25 donations from Seeking Solutions. Total registration from Saturday night was 494. 10 to 15% improve over last year. Discussed using the donations from collections from the hospitality and seeking solutions to reimburse those people who actually had out of pocket expense. Jennifer and Amy had $20.00 out of pocket each. Change the name of the Remote Communities Committee to the Special Needs and Accessibilities Committee. District 21 vote: Passed (9 to 0). Area 41 vote: Passed (33 to 4). District 21 vote: Failed (2 to 6). District 21 would vote to pass the item if the word “must” is replace with “should”. Item was amended (28 to 8), so that “musts” will be replaced with “shoulds”. Amended item passed (35 to 3). Raise the mileage rate for Area 41 from $0.15 to $0.20 per mile. Area 41 vote: Passed (35 to 0). Area 41 accepts the Website Guidelines as written and supported by your Area 41 Website Committee. District voted to pass this item (9 to 0). Area 41 vote: Amended to change minor wording (in b.) 1. the word “committee” was removed from Area 41 Registrar Committee; d.)1. “Area 41 Newsletter committee chair” was replaced with “Area 41 chair”). Amendment passed (35 to 0). Vote on amended item: Passed (36 to 1). District 21 vote: Passed (7 to 0). Area 41 vote: Two bids for 2012 reunion-District 30 and combined Districts 20 and 2. Districts 20 and 2 won the bid: 28 to 9. Area 41 shall meet three times per year in the months of March, July and November, beginning in 2013. The Reunion shall continue to be held in June. District 21 vote: Failed (0 to 9). Area 41 vote: Failed (8 to 30). Review the concept of Area 41 4-Corner’s Workshops to decide if they are still viable and, if so, develop guidelines for timing, location, format, content, participation, and cost. District 21 vote: Failed (0 to 8). Area 41 vote: amended to say “service structure” (35 to 0), and to include district 26 in last grouping (35 to 0). Vote on amended item: Passed (29 to 4). 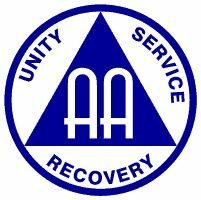 Tom: Flyer for “recovery based” event that is not AA was distributed at the Spring Fling. Called “ United for Recovery”. Amy: district can have no opinion on this, since this is non AA and is affiliated with Region 5 and First Step Recovery Center. Amy: Would groups be interested in some kind of Unity event (e.g. Unity Picnic)? Please check with your groups to see if there is any interest.